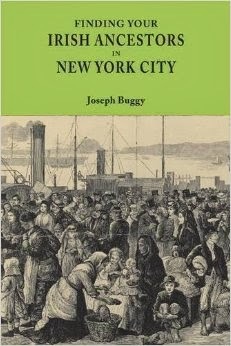 It can sometimes be hard to comprehend how ridiculously perilous it was for Irish people to emigrate to North American during the Famine. The documentary, Famine and Shipwreck - An Irish Odyssey, produced by the Canadian Broadcasting Corporation, gives a vivid example of how dangerous ad life-threatening it was. It is also an excellent example of genealogy, history and dramatic reenactment. In the Spring of 1849, a coffin-ship called the Hannah, carrying 180 Irish emigrants fleeing Ireland's potato famine, hits an ice reef in the strait near Cape Ray, off the coast of Newfoundland. The captain, a 23 year-old Englishman, takes flight in the only lifeboat, leaving his passengers to either drown or freeze to death. Seventeen hours later, the survivors are rescued by another famine ship, the Nicaragua. Famine and Shipwreck, an Irish Odyssey tells this extraordinary tale of horror and survival. The documentary combines drama, treated with visual effects, to recreate the shipwreck and heroic survival of some of the passengers, with powerful documentary scenes, involving descendants of the passengers from both sides of the ocean, historians' testimonies and impressive archives of letters, photographs, documents, newspaper articles and art. Through the film, we follow Canadian descendant Tom Murphy and his mother Jane on their emotional quest to discover how their Irish ancestors, Bridget and John Murphy, managed to survive both starvation and shipwreck to finally build a new life in the green fields of Canada.